The only comfort for many of us peering into the Westminster fishbowl as it continues its daily mission to self destruct, is that there are at least some voices of reason breaking through this malaise, running contrary to the crap that various factions across the Establishment are trying to feed us, and bringing truth to power. Something that we so desperately need. The real problem is of course, that with so many politicians so very obsessed with having their own ideas heard and prioritised – no matter the cost, very few of the people who are in the position to influence any of this mess for the better are hearing, considering or acting upon what wise voices now say. There is an obsession with the idea that there has to be an agreed plan for however we handle Brexit. This is a fallacy and simply isn’t true. And as I wrote last July, the problem with the plan for Brexit, is that Brexit has become all about having a plan. This whole perception that there has to be a fixed strategy in place before we can do anything at this level is one of the key reasons why Brexit and democracy itself are now in such a perilous state, and so many normal people across this Country are now feeling completely cut off from their representatives and wondering what the hell will now happen and if there is anything that anyone with any influence can actually do. Whilst it makes curious reading when the Will of the People to Leave the EU was so clearly defined, the fact remains that there is no majority amongst our 650 MP’s for any plan or direction. A situation that in every sense possible means that for the People of the UK, democracy as good as doesn’t exist, and that the result of the EU Referendum is by a majority of our MP’s being at best ignored and at worst, clearly denied. Getting out of this mess is not going to be easy. Not least of all because all the options that are being openly considered as being possible right now, have no guarantees that they would change anything. A General Election might not change anything as at best we would still have most of the same politicians left in Parliament coming from the self-interested culture where the purpose of representing the people, once elected is in many cases simply forgotten if not actively denied. 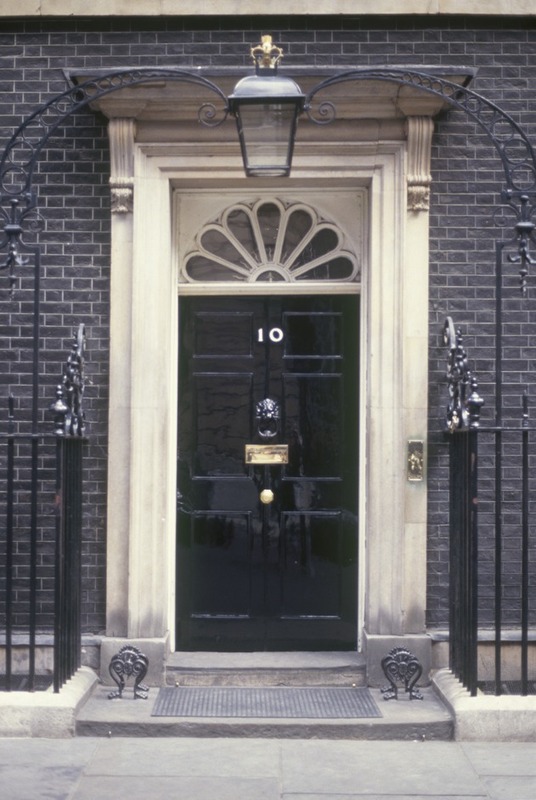 At worst, Theresa May could actually stay in No.10, not because she isn’t seen as the biggest part of the current problem, but that many Voters would vote strategically against the prospect of a Corbyn government – which for anyone who understands his modus operandi knows his brand of leadership is not how we want to experience the next 5 years of our future being defined. A Referendum is in trouble before it could even be put into being, as its very existence would underscore the reality that far from only being in the process of dying, as far as the UK is concerned, democracy has already died. It doesn’t matter what stories influencers who should know better tell us, out in the real world across the UK, people haven’t changed their minds about Brexit, in fact they are more disillusioned now than ever, see the EU as the controlling foreign force that it is, and are desperate for the people elected to represent them, to actually do what they have already been told. And whilst there are many left who are behaving like they have not just a chip, but a whole sack of spuds strewn across their shoulders, there no longer exists any such thing as the option tabled in June 2016, which is still being romanticised as ‘Remain’. The true relationship with the EU is now in a continuing process of being outed, they will never allow the UK to resume its former relationship as a Member and if the EU is seeking to keep indefinite control over our future as a condition of actually leaving them, just imagine what the price of being ‘openly’ joined to this pathway to the United States of Europe could actually do. It may seem like the antithesis of everything accepted as being normal, but planning when we are in a situation like we are now, with so much fluidity, risk and the potential for disaster, is simply not something we have either the time, or the luxury that having reasoned debate – that the presence of a complete chamber of objective politicians would allow us to do. We now need real leadership of a very different kind. Leadership that is guided only by the ambition of the UK and our future, with vision, humility and a respect for the age of consequence. Leadership that actually leads with the responsibility it has been given, rather than leadership which was only ever about gaining position. A situation we have no for too long been forced to try. May must go and it is only the Conservatives who can replace her. This talk of governments of national unity is not only dangerous, it would still be constructed of the very same people who have contributed to this unholy mess. People who are still dedicated to listening to only themselves. And with this kind of power, would continue to overlook everything that has now become important. Not least of all what the People of the UK have told them, and that everything which has happened since has itself began to model a different destiny for this Country, which requires new thinking and not giant leaps backwards of the kind to which they are clinging to – and not one to which Voters are in the majority inclined. The question of who in Parliament could really replace May now. The ambitions of the Cabinet are now so inextricably linked to her Plan for Brexit that the question of how each and every one of their priorities, demonstrated by their acquiescence with this whole travesty could possibly show that they are now equipped to seize the moment and take this Country forward is not a story that I can honestly the Electorate stomaching for very long, should it be one that were now to be told. Fresh starts require fresh thinking, and like the Conservative Party that is currently built around them, the Prime Minister who replaces May must be all about change, respecting the will of the people and no longer obsessed with the destructive tribal reality of thinking and acting in terms of either Leave or Remain.